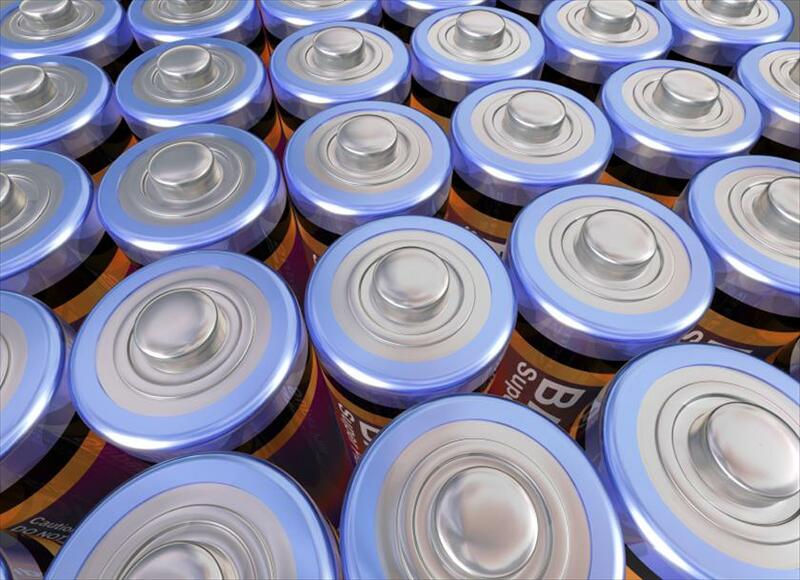 Batteries can't move charge as quickly as some competing devices like supercapacitors, and their performance tends to degrade significantly with time. That has sent lots of materials science types into the lab, trying to find ways to push back these limits, sometimes with notable success. Over the weekend, there was another report on a technology that enables fast battery charging. The good news is that it uses a completely different approach and technology than the previous effort, and can work with both lithium- and nickel-based batteries. The previous work was lithium-specific, and focused on one limit to a battery's recharge rate: how quickly the lithium ions could move within the battery material. By providing greater access to the electrodes, the authors allowed more ions to quickly exchange charge, resulting in a battery with a prodigious charging rate. The researchers increased lithium's transport within the battery by changing the structure of the battery's primary material, LiFePO4. The new work also gets fast charges, but by a rather different route. The authors, from the University of Illinois, don't focus on the speed of the lithium ions in the battery; instead, they attempt to reduce the distance the ions have to travel before reaching an electrode. As they point out, the time involved in lithium diffusion increases with the square of the distance travelled, so cutting that down can have a very dramatic effect. To reduce this distance, they focus on creating a carefully structured cathode. The process by which they do this is fairly simple, and lends itself to mass production. They started with a collection of spherical polystyrene pellets. By adjusting the size of these pellets (they used 1.8µm and 466nm pellets), they could adjust the spacing of the electrode features. Once the spheres were packed in place, a layer of opal (a form of silica) was formed on top of them, locking the pattern in place with a more robust material. After that, a layer of nickel was electrodeposited on the opal, which was then etched away. The porosity of the nickel layer was then increased using electropolishing. When the process was done, the porosity—a measure of the empty space in the structure—was about 94 percent, just below the theoretical limit of 96 percent. The authors were left with a nickel wire mesh that was mostly empty space. Into these voids went the battery material, either nickel-metal hydride (NiMH) or a lithium-treated manganese dioxide. The arrangement provides three major advantages, according to the authors: an electrolyte pore network that enables rapid ion transport, a short diffusion distance for the ions to meet the electrodes, and an electrode with high electron conductivity. All of these make for a battery that acts a lot like a supercapacitor when it comes to charge/discharge rates. With the NiMH battery material, the electrodes could deliver 75 percent of the normal capacity of the battery in 2.7 seconds; it only took 20 seconds to recharge it to 90 percent of its capacity, and these values were stable for 100 charge/discharge cycles. The lithium material didn't work quite as well, but was still impressive. At high rates of discharge, it could handle 75 percent of its normal capacity, and still stored a third of its regular capacity when discharged at over a thousand times the normal rate. A full-scale lithium battery made with the electrode could be charged to 75 percent within a minute, and hit 90 percent within two minutes. There are a few nice features of this work. As the authors noted, the electrodes are created using techniques that can scale to mass production, and the electrodes themselves could work with a variety of battery materials, such as the lithium and nickel used here. It may also be possible to merge them with the LiFePO4 used in the earlier work. A fully integrated system, with materials designed to work specifically with these electrodes, could increase their performance even further. Of course, that ultimately pushes us up against the issue of supplying sufficient current in the short time frames needed to charge the battery this fast. It might work great for a small battery, like a cell phone, but could create challenges if we're looking to create a fast-charge electric car.